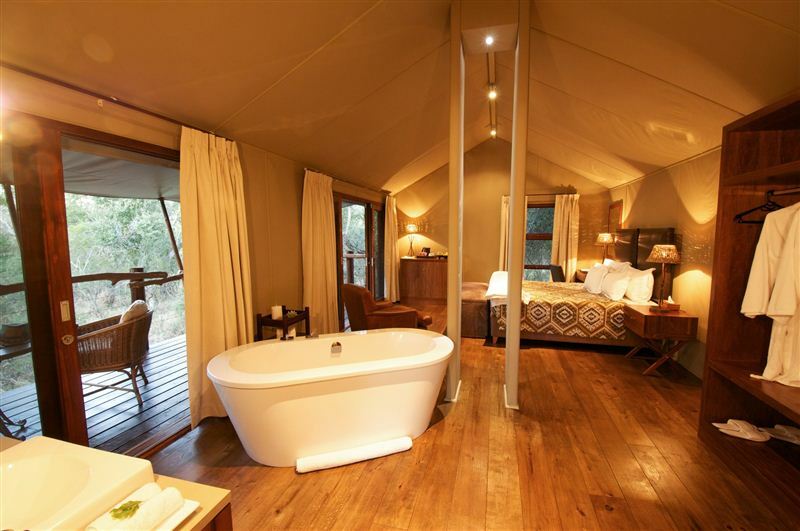 Ten luxury newly build canvas tents, each sleeping two, are set on wooden decks built on stilts over a steep-sided riverbank. 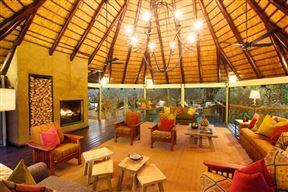 Wooden walkways interconnect the rooms, which are all in the upper reaches of tall riverine trees. 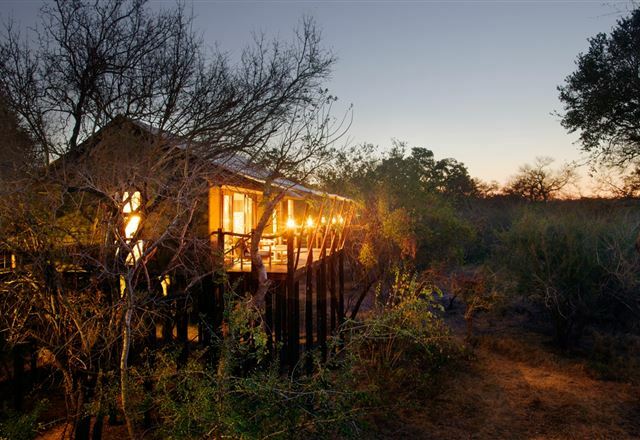 The river below rarely flows and antelopes are seen daily walking along the sandy riverbed. 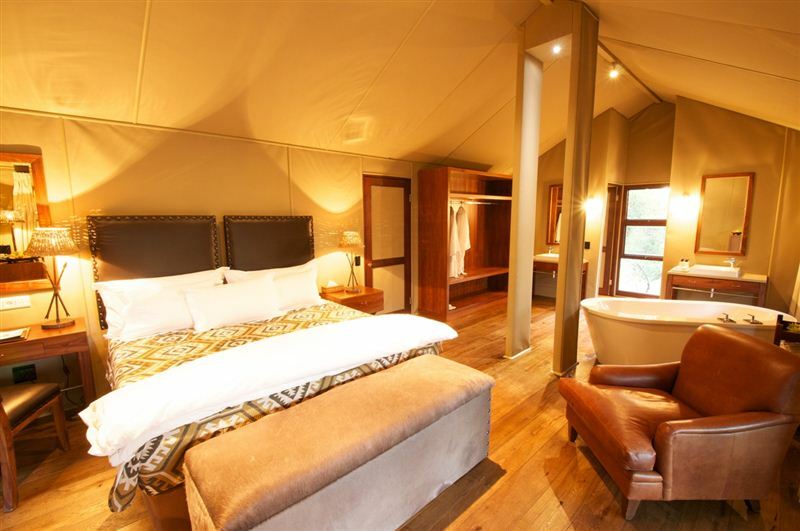 Each tented room has all the usual comforts of electricity, en-suite bathroom, safe, writing table, wardrobe, low impact climate control air-conditioner, mini-bar and tea/coffee facilities. 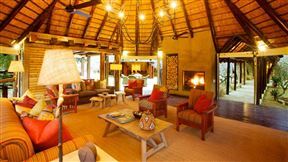 With a maximum of 20 guests at Buffalo Camp, special attention is paid to personal service and the staff become like friends. 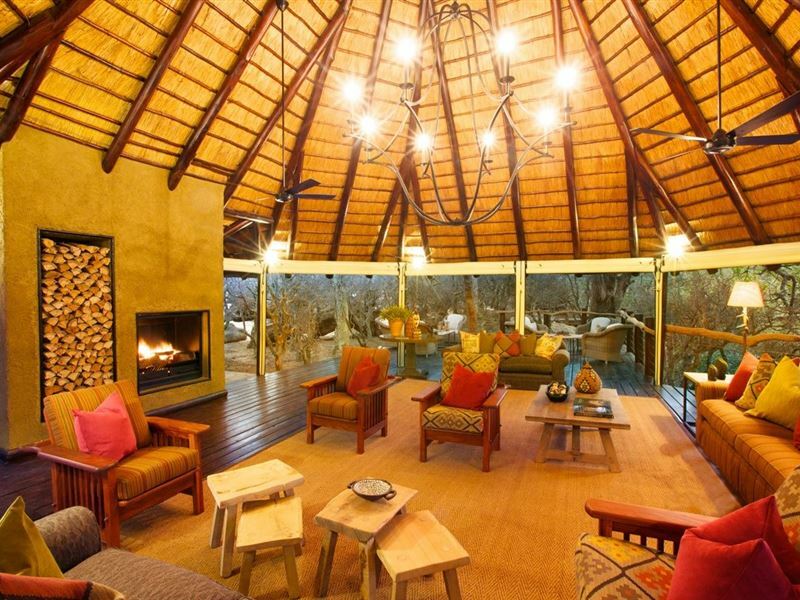 Kapama Buffalo Camp is a truly authentic way to experience the African bush.